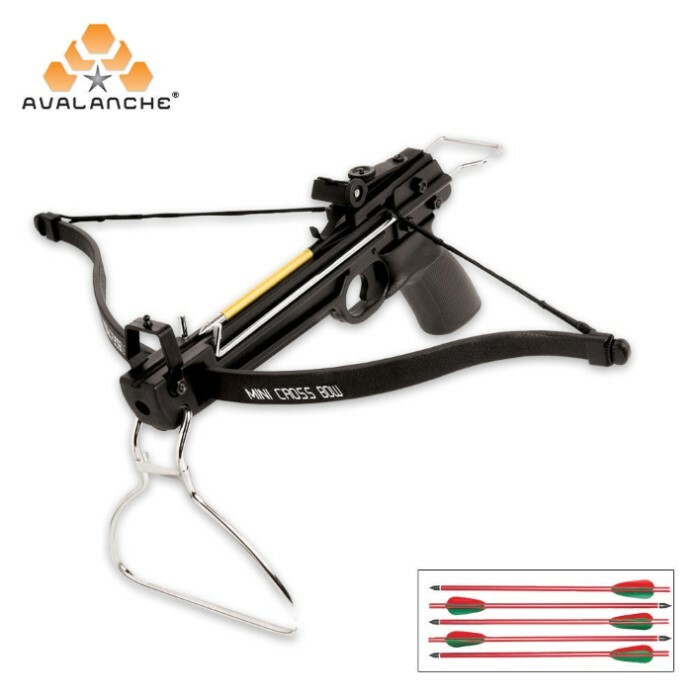 This mini crossbow unit by Avalanche packs a whopping 80 pounds of pure power!! The unit is constructed of impact-resistant ABS with a fiberglass bow. 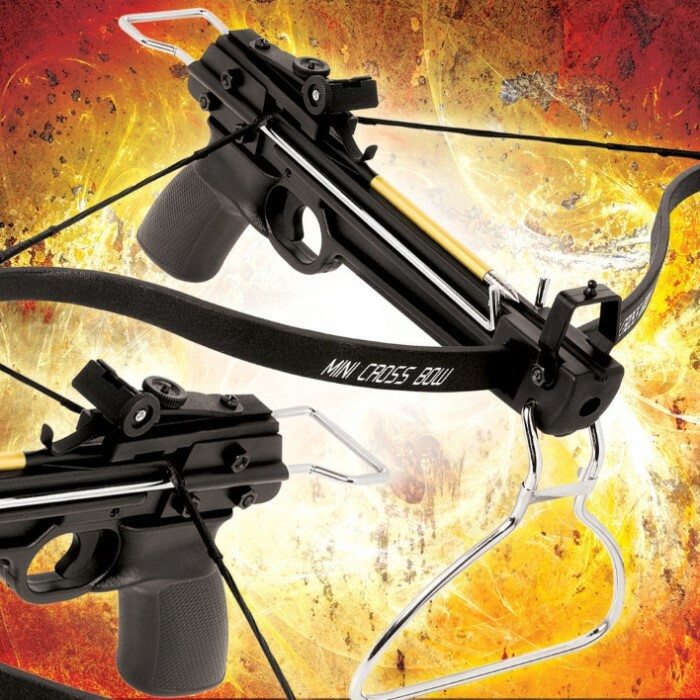 Great for serious competition shooting and target practice. Unit includes 3 fiberglass bolts with field tips, bowstring and a target; laser sight sold separately. Shoots an amazing 160 Feet Per Second and weighs only 1.05 lbs.